Ahwatukee is a hidden away area in Phoenix just south of South Mountain, north of Pecos Road and west of Interstate 10. Ahwatukee is unique because of its central location with fast access to downtown Phoenix federal, state and county government centers, ASU, Sky Harbor, and the East Valley cities of Chandler, Gilbert, Mesa, Queen Creek, and Tempe. There are numerous private Ahwatukee golf communities and the South Mountain Park Trails system beckons golf, mountain bike and horseback riding enthusiasts to Ahwatukee. 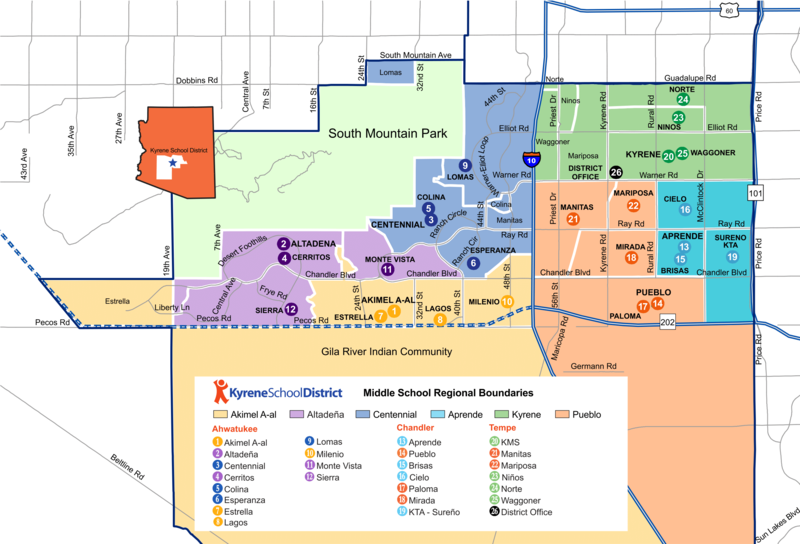 This area of Phoenix is served by two highly regarded school districts - Kyrene Elementary and Middle District and Tempe Union High School District. 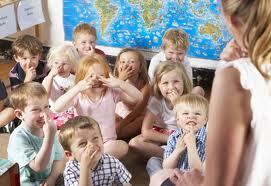 Before buying Ahwatukee real estate, check out the schools below. The table below lists all schools within Kyrene Elementary and Tempe Union High School Districts that serve Ahwatukee students within the City of Phoenix south of the southern slopes of South Mountain. These schools are sorted alphabetically by School District and then alphabetically by the individual school names by performance grade. Unless a home is in an age-restricted retirement community, all MLS listings specify the elementary, middle and high school whose boundaries encompass the home for sale. If schools are an important factor in selecting a home to purchase, refer to the attached school boundary maps to confirm the MLS listing has correctly listed the assigned schools. For the most current 2017 - 2018 School Year School Achievement Levels, Kyrene Elementary School District and Tempe Union High School District were awarded an overall "A" rating as compiled by the Arizona Department of Education. See the list of schools within each School District below to find individual school achievement level. Search all Ahwatukee AZ homes for sale served by Maricopa County top performing Kyrene Elementary School District Map and Tempe Union High School District Map which ensures higher resale values. Contact Sam with 28 years of real estate experience for his assistance buying and selling Ahwatukee real estate and Ahwatukee homes for sale. "F" rating = Under-performing schools with a "D" letter grade for three consecutive years are placed in school improvement by the Arizona Department of Education.